Giving a fillip to Oracle CEO Mark Hurd’s commitment to expand its base amid a positive mood in India, top Oracle executive Thomas Kurian announced that the leading cloud services provider fully supports the latest digital initiatives launched by the Indian government. “Oracle is committed towards Prime Minister Narendra Modi’s ambitious ‘Digital India’ initiative. In the days to come, the world will see Oracle investing in more Indian cities to open new product development centres,” Thomas Kurian, Oracle’s president of product development, told IANS. The announcement came at a time when Oracle’s closest rivals Microsoft and Amazon have firmed up their plans to set up data centres in India. Kurian, who grew up in Bengaluru and has been with the company since 1996 in various product development positions, said that India is one place that has every product line from Oracle – be it dataware, middleware, analytics or business suites. “We came to India in 1990. Today, we have 33,000 employees in India. 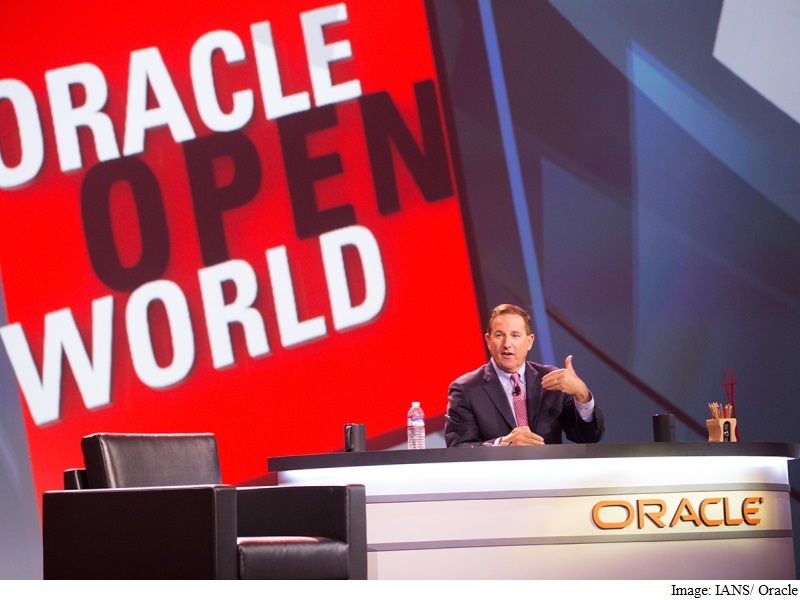 We have been investing heavily in India as the country has some of the best talent as far as Oracle and its portfolio is concerned,” he added as five-day Oracle’s OpenWorld 2015 conference entered its third day on October 27. Oracle has already hired 2,300 engineers in product development in India this year. The company has 12 development centres in India, including facilities in many emerging cities like Vijayawada, Thiruvananthapuram, Noida and Ahmedabad. “You will see a robust investment drive from Oracle soon, with more and more Indian cities joining the product development plans,” noted Kurian. Since 2008, Kurian has led development for Oracle’s family of cloud offerings, including software-as-a-service (SaaS) applications, platform as a service (PaaS) and infrastructure as a service (IaaS). He is responsible for leading Oracle’s software development organisation and transitioning the company’s technology to Oracle cloud. For several years, Kurian has been responsible for Oracle Server technologies and the Oracle Fusion Middleware family of products. Earlier, responding to an IANS question, Oracle CEO Mark Hurd said that he is committed to expanding Oracle’s reach in the burgeoning cloud and software market in India. “We are seriously working on the expansion plans in India. It is really a good time for this,” he told IANS, adding that Loic Le Guisquet, Oracle’s president for the Europe, Middle East and Africa region and Asia Pacific, has already initiated the expansion plan. India software revenue totaled $4 billion (roughly Rs. 25,596 crores) in 2014, an 8.3 percent increase from 2013 revenue of $3.7 billion (roughly Rs. 24,046 crores), according to a latest Gartner report. The five-day conference, which ends October 29, is taking place at 18 locations throughout downtown San Francisco with the iconic Moscone Centre serving as its epicentre.